My incredibly high needs daughter was born on December 1st, 2011. 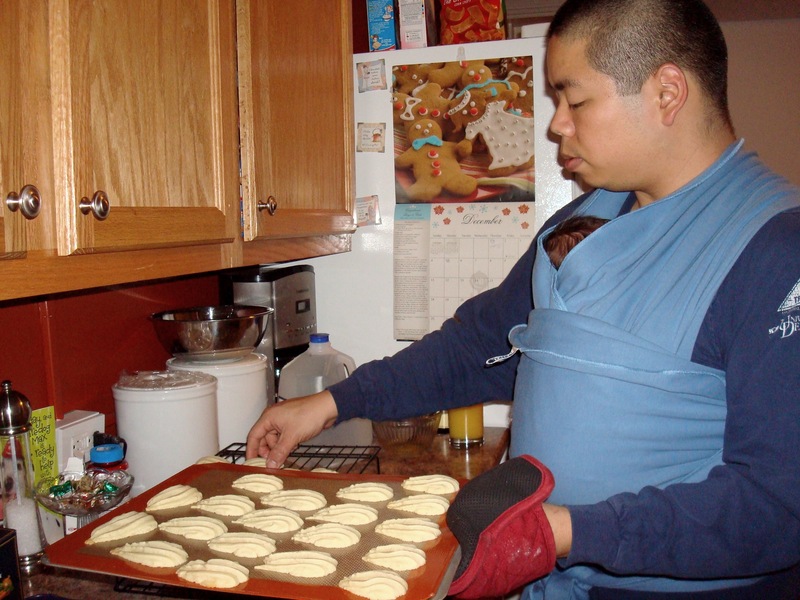 This is Elliana’s amazing daddy wearing her in a Moby wrap while baking Christmas cookies when she was just 19 days old. 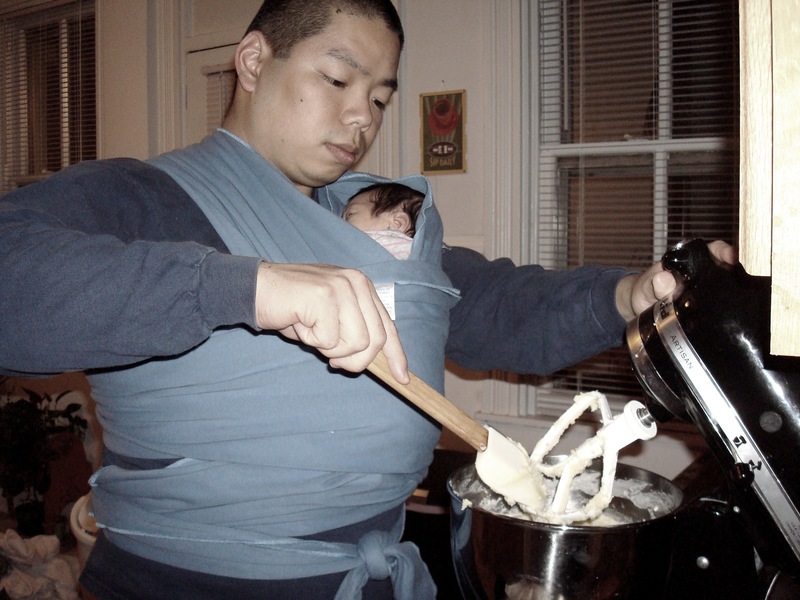 She was able to sleep, and daddy was able to get all the cookies baked with her tucked safely in the wrap.